Filed under Buy Flowers, Decorating with Flowers in your Home, Fall Flowers, Thanksgiving. Thanksgiving is upon us and many of us are making plans, setting menus, and preparing for a wonderful day of family, feasting, and for us, flowers. This is a lovely time of year when we honor our families, our blessings, and celebrate what we are thankful for. This time can also become busy and harried as we rush to get gifts, prepare the perfect meal, and get the house in order. Our Fresh Flower Cornucopia is a take on the classic, combining fresh and preserved elements for a beautiful Thanksgiving centerpiece. At Calyx Flowers, we relish the opportunity to help create an unforgettable gift by way of a gorgeous bouquet or helping to create a beautiful ambience where Thanksgiving memories are made. Whether you are attending a casual Friendsgiving or hosting your own classic Thanksgiving meal, a beautiful bouquet or centerpiece will add an extra layer of ambience to the festivities. After years of creating Thanksgiving bouquets and centerpieces that honor this wonderful time, we’ve gathered a few tips and tricks to enjoy this holiday to the fullest – hopefully without stress or worry. Preparing a Thanksgiving feast can be stressful and being prepared ahead of time is key. If you like to stay ahead of the game, order centerpieces a few days beforehand to take some of the planning pressure off. Our Fresh Flower Cornucopia is a perfect piece to order ahead of time as it will continue to stay fresh and bright for up to ten days. 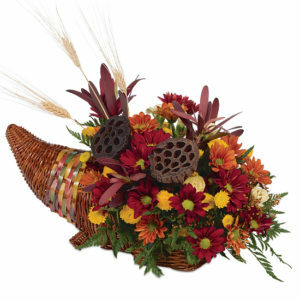 A cornucopia, also known as a Horn of Plenty, is a traditional symbol of abundance and nourishment so it makes perfect sense that it has become associated with Thanksgiving. We fill our woven cornucopia with preserved ingredients and fresh flowers that overflow in abundance for a traditional centerpiece honoring the colors of autumn. An Autumn Feathers Wreath combines natural outdoor elements for a beautifully minimal wreath that is perfect for welcoming guests at the door. An important component of a holiday gathering is creating an ambience that matches the festivities and season. One way is to create a sense of welcome and holiday spirit from the moment guests arrive so that they feel comfortable and ready to celebrate. 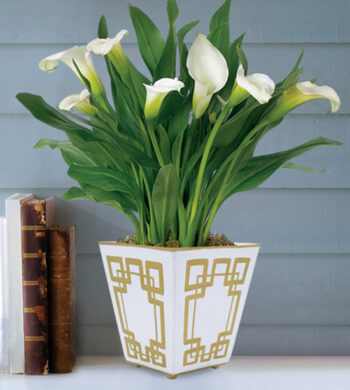 Our favorite way to do this is with starting the décor even before guests reach your living room. Hang our Autumn Feathers Wreath on your front door as a friendly greeting to welcome incoming friends, family, and loved ones. 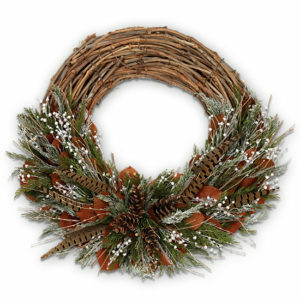 This is a striking option that can serve as an inviting marker with its handcrafted pinecones and pheasant feathers that provide a woodsy feel. This gorgeously styled wreath also has a lot of texture while still feeling minimal, making it an eye-catching option for guests ready to kick off the holiday season. Our Fresh Pomegranate Wreath & Candle Ring celebrates the abundant harvest of fall colors and natural elements. Playing into the seasonal theme of harvest and celebrating our favorite holiday foods is also a fun way to decorate. Our Fresh Pomegranate Wreath & Candle Ring does this while also showing off the rich colors of fall. Deep burgundy pomegranates are a symbol of good luck and abundance and what Thanksgiving host or hostess doesn’t need a little luck on their side?! 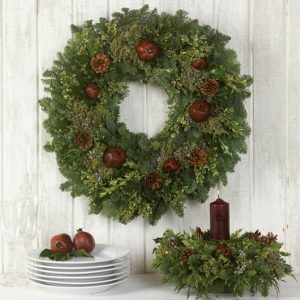 Hang the wreath on the front door then use the candle ring as a table centerpiece so the décor flows from room to room. Plus, the colors and fragrant balsam and pine works well for the December holidays, making this wreath and candle ring perfect all season long. If you are attending a Thanksgiving celebration, a gift for the host or hostess is always appreciated. Flowers are a great gift since there will most likely be plenty of food and beverages on this holiday of delicious excess. Because food often takes the center of attention on Turkey Day, a festive floral arrangement or bouquet could help take the pressure off on décor for a beautifully tied together Thanksgiving feast. 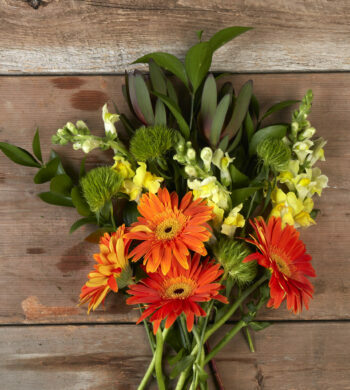 A Thanksgiving Celebration Bouquet is festive with bright oranges and pinks, perfect to accompany a fine holiday feast. If you are familiar with the host’s taste or favorites, this may be an easy task. But if not, we have plenty of items that will strike anyone’s fancy. 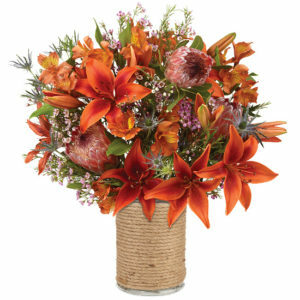 One versatile option is the Thanksgiving Celebration Bouquet which features orange Asiatic lilies, pink proteas and thistle in a rope wrapped vase. The oranges, pinks, and touch of dusty blue are all part of the traditional autumnal palette while the rope wrapped glass vase adds a rustic touch that works well in any home. No matter what, a Thanksgiving floral centerpiece or bouquet will always be appreciated. 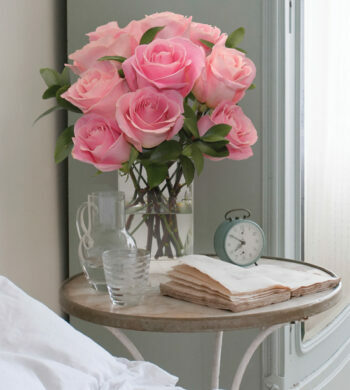 The thought and care that one takes in choosing an arrangement will not be lost on guests or hosts. 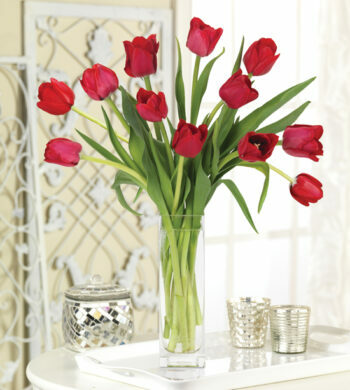 Making others feel special with a token of your appreciation like a creative centerpiece or floral arrangement is unique and heartfelt. And we are thankful to be able to take part in these celebrations in this way.